1960s WINF 1230 Manchester is CBS for Hartford, with Connecticut's first all talk format, which continues during most of the decade (station is now WKND). WICC-TV channel 43 Bridgeport makes an offer 35 times a week: the first person to call WICC-TV wins $100, and not a single viewer calls. This is because virtually no viewer's home TV sets are equipped with UHF in the area. This is reported in Newsweek in an article entitled "Eyeballs Wanted" and in other media. WICC-TV is trying to make a case to gain permission to move to the VHF band. WICC-TV is in an area covered by 9 VHF stations, and viewers must pan an additional $100 to have UHF on their sets. Also, WICC-TV is an ABC affiliate and there are two ABC affiliates on the VHF band, channel 7 in New York and channel 8 in New Haven. WICC-TV has full listings in the New York section of the TV Guide, the only station to have this, but it does not help. WICC-TV does not get a VHF channel, but Congress acts and starting in 1964 all TV sets sold in the U.S. must be equipped with UHF. WDRC 1360 ends CBS affiliation and goes rock full-time, shocking the staid in Hartford County. WDRC-FM 102.9 simulcasts this rock format, with WDRC becoming one of the first full-time rock stations in the northeast. WJZZ 99.9 Bridgeport (now WEZN) signs on as an all-jazz station, with jazz composer Dave Brubeck of Wilton as program director. 1961 WATR-FM 92.5 Waterbury begins as Waterbury's first FM station, in a short time it will broadcast live coverage of a major fatal tornado to strike Waterbury. 1962 WHCT channel 18 launches pay TV, with viewers choosing codes for movie and sporting telecasts on specially installed box atop the TV set. This is the fist pay TV station in the world and the general manager is Charles Osgood. WEDH channel 24 Hartford begins as the states first educational TV station. WRYM 840 New Britain, "Rhyme", becomes first all-beautiful music station in the state. WBMI 95.7 Hartford (now WKSS) and WGHF 95.1 (now WRKI) become first stations to broadcast in multiplex FM stereo, the first modern day system of stereo utilizing one station and one stereo receiver. WSCH 93.7 Hartford (now WZMX) is operated by the Hartford South Congregational Church as a public educational FM station with live broadcasts of the Hartford Symphony, and affiliated with the Eastern Educational Network (which also includes Riverside Church's WRVR 106.7 NYC and Boston's WGBH 89.7). This network is the forerunner of National Public Radio. The format on WSCH lasts 2 years. WMMM-FM 107.9 Westport (now WEBE) begins, with the licensing of WMMW-FM, all the available commercial FM stations in Fairfield, New Haven and Hartford counties are taken up, signaling the revival and dramatic turnaround for FM broadcasting. 1963 WPKN 88.1 Bridgeport begins at University of Bridgeport, as Fairfield County's first educational FM station. WPKN, now 89.5, evolves into major community and alternative programming station for the region, becoming a stand-alone station separate from the University of Bridgeport, after the university is acquired by the Rev. Sun Myung Moon in the early 1990s. 1964 WJZZ 99.9 (now WEZN) begins broadcasting Top 100, the 100 most popular classical works based on number of times performed live in concert halls, composer Leonard Bernstein of Fairfield helps compile the list. 1965 WFIF 1500 Milford begins at Connecticut's first country and western music station. (Later in the 1980s, WFIF adopted a religious format for southern Connecticut). Merv Griffin acquires WWCO 1240 Waterbury, the first station in a major national group he will build and expand. 1967 Educational/Public television comes to New London County with the opening of WEDN channel 53 Norwich, and to Fairfield County with the opening of WEDW channel 49 Bridgeport. Merv Griffin puts WWCO-FM 104.1 (now WPHH) on the air as the state's first FM station with a full time format of country and western music. The New England-wide Yankee Network closes down after 39 years; it offered many entertainment shows and in the 1960s was offering 10 minute newscasts every other hour, with several affiliates in Connecticut including WCCC 1290 and WCCC-FM 106.9 Hartford and WNLC 1510 New London. 1968 -- WWUH 91.3 West Hartford begins at the University of Hartford as the first stereo educational station in New England. Adopting the slogan "Public Alternative Radio" WWUH evolves into a major venue for alternative music and community affairs programming. "The Gothic Blimp Works" program is the first progressive rock program in the state (the program still exists today). WDRC 1360 and 102.9 Hartford introduces "The Scene of the Unheard", progressive album rock nightly program hosted by Ken Griffin, fist such show on commercial radio in Connecticut. WDEE-FM 101.3 Hamden (now WKCI) is sold for $50,000 showing FM still has not made it financially; 18 years later the same station will sell for $30 million. WICH-FM 97.7 Norwich (now WCTY) begins as first modern-day FM station in New London County and eastern Connecticut. WHCN 105.9 Hartford goes progressive rock flume, first flume commercial album rock station in the state. 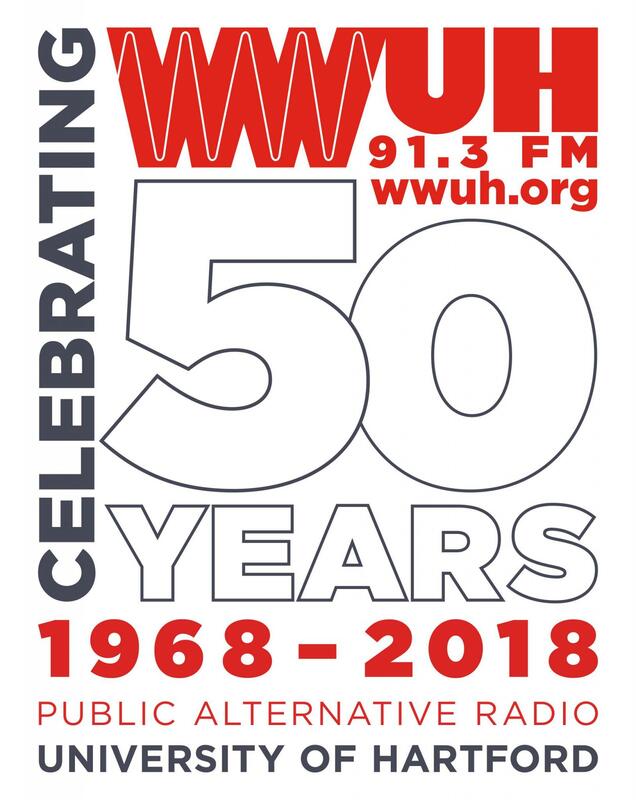 1969 WLVH-FM 93.7 Hartford (now WZMX) becomes first minority owned station in Connecticut, with Hispanic ownership and full-time Spanish format that will be broadcast for 20 years. WKND 1480 Windsor adopts black urban format, first in state, later becoming first black owned station in Connecticut (WKND call letters and format are now on 1230 Manchester, and 1480 is occupied by WNEZ with all gospel format). WIHS 104.9 Middletown begins, and becomes first all religious station in Connecticut. The preceding is from a pamphlet entitled "TIME LINE FOR CONNECTICUT BROADCASTING" released in November, 2005 by the Connecticut Broadcaster's Association to commemorate their 50th anniversary. 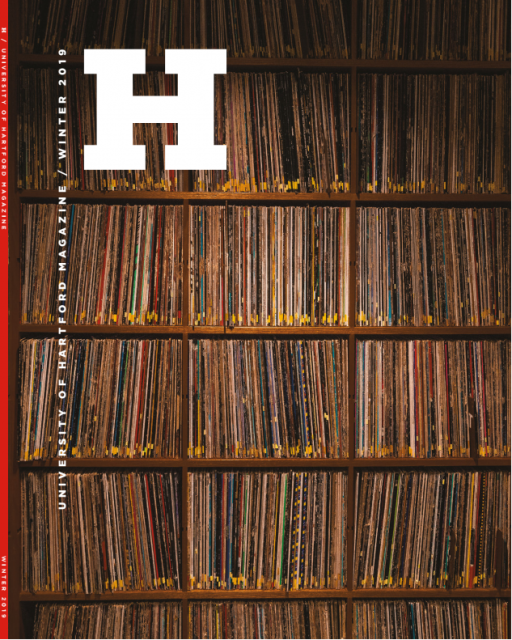 It is one of the only comprehensive lists of its kind that we are aware of, and serves only as a companion to the WWUH History documents elsewhere within this website.